As any other customer facing channel, an IVR should offer a good user experience. It should be an integral part of an enterprise customer service strategy, and be organically integrated with mobile and web offerings. IVRs should be intuitive-personalized-proactive-predictive-adaptive, recognize the user, know where they’ve been, let them speak their mind and recognize what they want, while offering the very best and most relevant option. That sounds amazing, and when it’s actually available, it is. But for a large proportion of organizations, the reality is quite different. 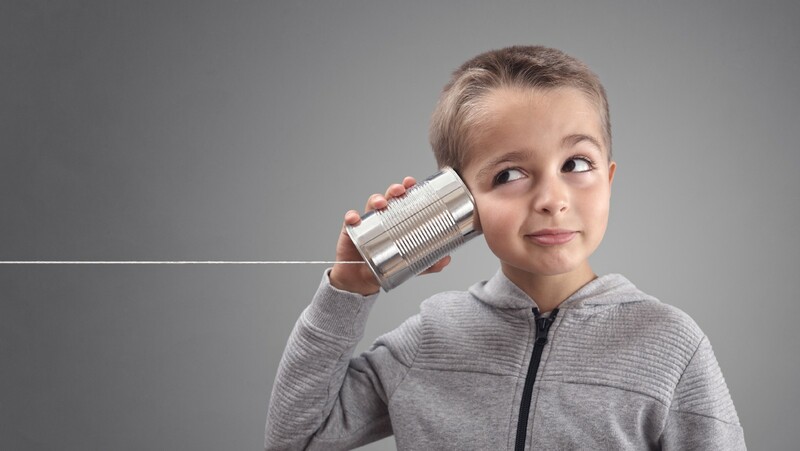 The IVR is often the neglected child of customer service, an afterthought, most often a wall or an obstacle course between customers and agents. Because IVRs don’t really matter anymore, right? Why invest in an IVR? Customers don’t call organizations anymore, they self-serve, they chat, they click-to-call, they talk to their smart speaker home assistant thingy, but they never pick up the phone to call an organization, right? Not quite. While it is true that traditional IVR self-service usage is slowly but surely dropping, and while it is true that a majority of customers prefer to self-serve using other means, there will always be situations when speaking to a person is necessary. When customers do call, they are often welcomed by an outdated phone system from another era. They get lost in a maze of DTMF menu options and unfamiliar terminology, trying to find the option that will put them on the path to the right agent. They wait in queue, wasting their time, and when they finally reach someone, they need to explain why they’re calling, only to discover that they selected the wrong option and need to go back in queue to a different agent. This isn’t good. How do we go from there to that idyllic conversational IVR experience? And what can be done in the meantime to make life a little less difficult for customers? Because let’s face it, the path to a fully conversational IVR can be long and challenging, but status quo is not an option, as customers will leave an organization because of bad IVR experiences. Here are a few steps that can hopefully help organizations move in the right direction and improve customer experience along the way. The very first step is to audit what’s in place today. Hire an external firm to diagnose your IVR, review menu structure, terminology, prompting, call volumes, IVR usage. Such an audit will help uncover issues that irritate callers and make them want to hang up and leave: convoluted menus, long and unclear messages, useless instructions (e.g. the infamous “please choose one of the following options”, or “please listen carefully as our options have recently changed”), not finding an option, bad speech recognition, etc. A good diagnosis of your IVR can shed light on obvious issues that can be addressed by making small changes that can have a big impact on customer experience and not cost a fortune. Call volume distribution between routing destinations can reveal very low traffic options. High internal transfer rates can indicate misrouting issues. Long waiting times and high abandon rates. Customers who repeatedly call over a short period of time. Addressing some of these issues, for example by merging low volume options and queues, by implementing strategies to reduce waiting times (e.g. offering a callback, fixing priority issues), by improving routing rules, or by streamlining IVR options, can improve customer experience without necessitating a complete IVR overhaul. Agents know more about your customers than anyone else. They know who the customers are, what they need, what irritates them, how they struggle in self-service or in the IVR, why they call your organization, what else they tried, etc. Agents hold precious information about your customers’ experience in the IVR and in queue, and you should leverage that knowledge to improve their overall experience. Many enterprises design their IVR menus to match the internal contact center organization. Menus often correspond to internal departments, and options match agent groups and skills. The burden to find the path that corresponds to the actual purpose of call falls on the customer. It should be the other way around: customers should be able to express what they need, and the system should determine where to best route the call. Instrument a small data collection IVR in the waiting loop and collect recordings while the caller is on hold. These are just examples, but no matter what the exact method is, it is essential to give callers the opportunity to express, in their own words, why they are contacting your organization. What are the actual reasons why customers contact your organization? How are these reasons distributed (vs how the menus are structured)? What is the mapping between these and your contact center organization? Analyzing that data will allow a progressive transition to a conversational NLU enabled IVR, while streamlining portions of the current IVR in the meantime. To offer personalized options, you must know who the caller is. That’s a given. However, many organizations require customers to identify and authenticate themselves in the IVR, but too often, that information is not really used. For example, if a customer does not have a line of credit with your bank, why present a menu option about making a payment to a line of credit? To offer a fully personalized experience, it is necessary to properly manage and organize customer information (e.g. CRM solution). More simply, retrieving the customer profile in the IVR and leveraging that information to provide more relevant, dynamic options, can make the call shorter and more efficient. Nowadays, most customers use their mobile phone to contact enterprises, and that number can easily be used to match their individual profile and retrieve their information. It is thus possible to use the caller ID (CLID) to start incorporating personalization in the IVR, without requiring a full blown CRM solution. In order to put in place an omnichannel solution, to be proactive, to propose the most relevant option to the caller, or to follow up on a previous interaction, it is essential to track and log what the customer is doing, on any channel, at any step. This is how you can discover and follow customer journeys. This goes hand in hand with personalization. The instrumentation of customer activities across channels is a prerequisite to designing and implementing an omnichannel strategy. This may require important investments and may not be something that can be considered in the short term. Going from a traditional siloed DTMF IVR to a conversational IVR that’s part of an omnichannel strategy is a significant endeavour that demands important investments. If not done properly, it can negatively impact customer experience, and consequently, you may run the risk of losing customers. Status quo, on the other hand, is not really an option. To tackle that challenge successfully, the path that we propose is a step by step approach, starting with fixing the most obvious and irritating issues, and gradually adding functionalities and improvements.